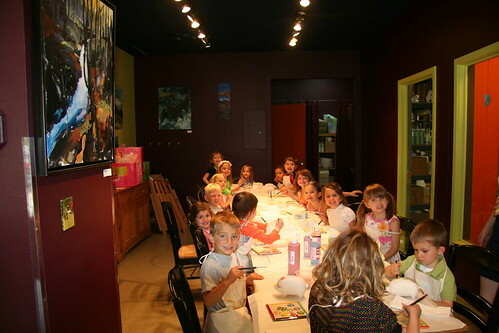 Sydney was set on having her birthday party at the art studio. She loves going there and painting and when she found out you could have your party there, all other options went out the window. So we invited everyone in her class at school and a couple of other friends for a artsy birthday party! The painting was sort of chaotic but we managed to get 16 kids to paint individual masterpieces. Then we did some presents, cake, and other party games. 90 minutes later, Kim and I were ready to pass out. Enjoy the video! View a few more photos of the birthday girl!